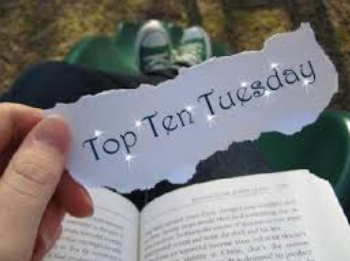 Okay guys, *look of horror* I know it’s Thursday and I’m doing Top Ten Tuesday! The world is off-balance! I’m gonna DIEEEEEEEEEE!!!!!!!!!!!!! Okay, maybe not die, just reenact FREAKY FRIDAY BY TURNING INTO NIKKI AHHHHHHHHH!!!!!!!!!!!!!!!!!!!!! *hyperventilates* Okay, I’m creeping myself out. No, don’t throw eggs at me! That would be unthinkable! (I’m not up to speed with the latest shadow hunter pjs!) Kidding! Maybe you can all just boo me? I’m fairly sure you don’t do that to Nikki, you’re all too busy egging her…. Alright. *composes self* Anyway, since it’s Thursday, I’m just going to throw my WAYRW in here as well. It’ll be like a Nikki post! Oh gosh, the shame! Okay, to prove I’m not turning into Nikki, I’m going to tell you that I had a reason for missing my TTT post. Yup, my iPod was dead all day Tuesday and my tab charger has been lost for a week, so…. Yeah. I was really busy yesterday too…. Now, down to business. Groan all you want, but I refuse to turn into Nikki! The world simply cannot handle two of her. Woohoo!!! This is so EASY! I literally just went to the library yesterday. And the day before that. No, I do not joke with you here! But since I started this post yesterday (yes, I am that much more guilty), I’m not including the group from yesterday. 😀 Since I’m feeling kind (very) a.k.a. Guilty (very) with a capital G, the covers will be linked to their Goodreads pages this week. I’ve always wanted to link pictures…. The first group are from my library visit Tuesday. Another children’s book. Let me tell you about my library program. Yes, I promise this is relevant. Our library this year is doing one program for YA and Adult. They gave out a list of authors to read from. When you finish a book by an author on the list, you can fill out a slip and stick it in a box, which they draw from every week or something. Well, that was all good until I got home and started looking up these authors. Guess what??? Half the authors only ever wrote picture books. A quarter wrote children’s. The other quarter wrote YA and children’s. I mean, seriously people? There were seriously like five adults books for my my mom to choose from. Avi was on the list, and I’ve only read one book by him, so I gave it a shot. Hence this book. The library program. ‘Nuff said. At a split-second decision, I got both books two and three. Doesn’t hurt, right? The last four are from my library excursion a week or so ago. I’d been hearing about this book for AGES, so I went and got myself a copy. I actually just recently finished it. If you haven’t read it, DO! It was really good. I actually have no idea what this is about. Or why I got it. My best guess- Nikki? Ka-Pow! Dat’s rite, kids boock. Uck, that spelling is killing me already. Library program. Yes? Yes. Never read the series, and everyone always says I should! I’m trying, I really am. But it’s just… so… hard… to open…. For the amount of time I spent on it, this post is ironically short…. Oh well. I’m so sorry I’ve been AWOL (Not exactly sure what that means, so if I said something bad, it wasn’t intentional. Isn’t it, like, disappearing from a video game or something??? ), and Nikki’s writing an apology post too. And now she’ll chew me out for ratting her out. Oh, the beautiful circle of life. ON TO THE WAYRW!!! Oh yeah! Yes, you heard right. I’m finally reading this series!!!!!!! 2. “I cannot afford to get upset, to leave this room with puffy eyes and a red nose.” Page 33 would have been a MUCH better teaser. By far. 3. No. Absolutely not. I would be eligible for the reaping and…. *shudder* Without a doubt, never. Well, I’m off to see a play, so I really must be going. But I did promise to have two TTT pics in this post last week! 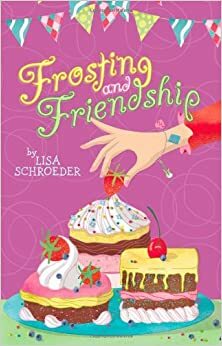 ‹ PreviousWhat Are You Reading Wednesday!!! No judgement, I did mine on Wednesday. God, in the beginning, I seriously thought that was Nikki posting! 😛 I mean, Amy with a TTT on Thursday? That’s definitely something! 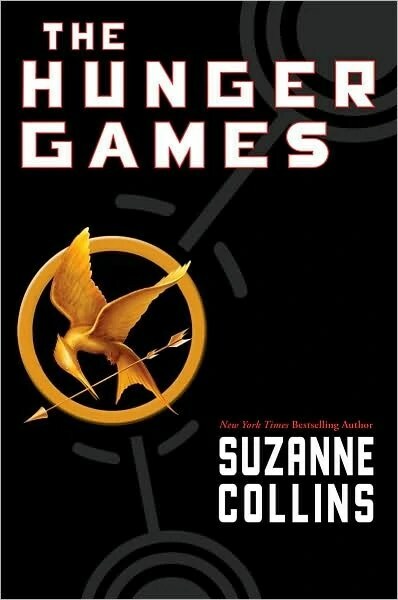 And I am SOOOO happy that you’re finally giving The Hunger Games a read! Like, I could dance around in my room right now. Maybe. Just maybe. Hehe. I know, I figured I was giving that impression… :-O lol. Yeah, I actually just finished HG about 10 minutes ago! It was fantastic, I totally need the next book right now. P.S. another name change?? Sigh. Hehe. Oh, the agony of waiting for the next book! Whoops! I guess it’s a keeper! What are you currently reading? Anything interesting? I’m reading The Sea of Tranquility and City of Heavenly Fire now. I’m making surprisingly slow progress with the second one because the first one has me so hooked! I’ve heard of The Sea of Tranquility, what’s it about? I’m on bk 4 for TMI, but Nikki told me I’m supposed to read the other series now? Vuuuutttt??????? Do you know anything about this????? 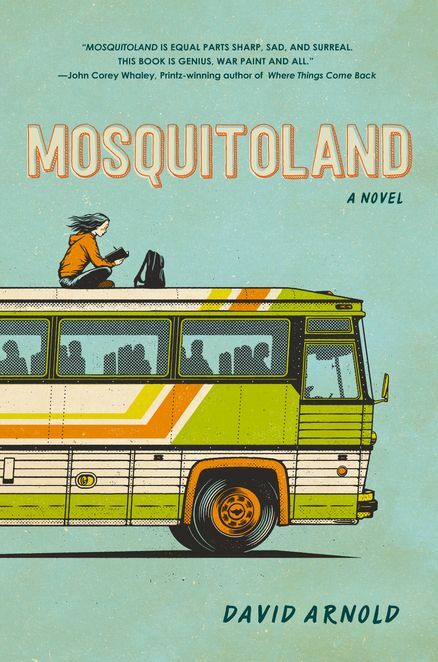 I’m reading Mosquitoland; I just started but I really love the style!!! It’s definitely not as fluffy as it sounds, though. I mean, yeah, it builds a lot on romance, from what I’ve read till now, but I really wouldn’t call it ‘fluff’. And yes, if you haven’t read The Infernal Devices yet, I think it’d be better if you read it before you started City of of Lost Souls. Or AT LEAST before you started City of Heavenly Fire. That’s what I’d been advised and what I did. I think it would’ve been even better if I’d read it before I’d started the fourth book (because I could find connections there) but oh well. The Sea of Tranquility sounds good!!! Okay, so just to be clear, I should read The Infernal Devices before City of Lost Souls, not City of Fallen Angels? Or should I read it now? It’s a really interesting voice, that is totally true. Makes you think differently. But I definitely like it so far! I’m trying to read it before tomorrow, it’ll be due at the library…. 😁 Tick tock! 😉 Happy reading! Yeah, I heard Clockwork Angel AFTER reading City of Lost Souls… Oops? The Hunger Games are also so good!!!!! And Shadow and Bone has my favorite villain!!!!!!!! !